Mo's Photo of the Week! Winter is such a wonderful season, but I am starting to miss the lushness of green grass and the brightness of Summer and Spring days. My entire week has been filled with the fantasy of drifting away to some tropical paradise or maybe an island. After all, I’ve never really been a member of the cheering squad for winter months. Today, I thought of a place that wasn’t necessarily created by my wondering and inventive mind. This amazing place actually existed! 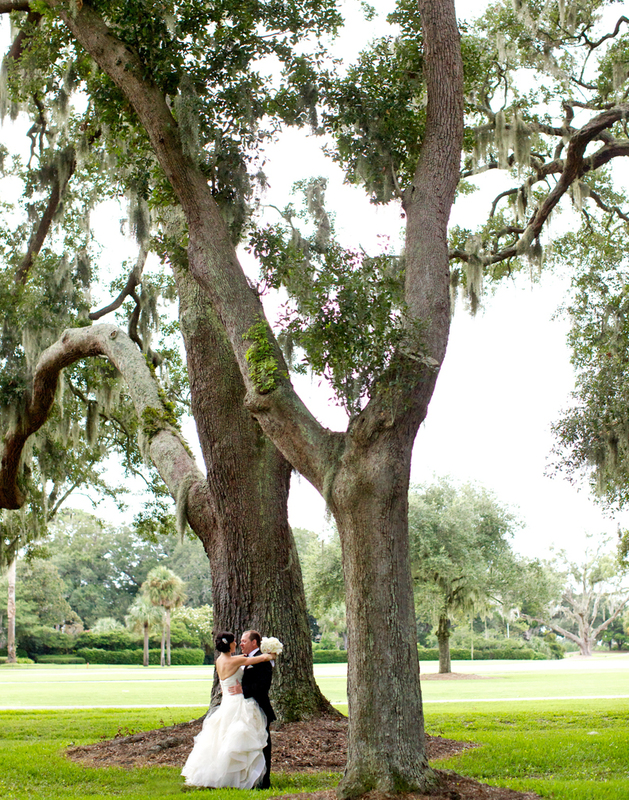 This summer, we photographed a beautiful wedding in gorgeous Sea Island. The weather was perfect, the ocean was near and unfortunately… it was only for a weekend. I honestly can’t understand why Lauren and Dennis couldn’t just renew their vows in Sea Island at least once a month! My “photograph of the week” is a magnificent moment in St. Simons when Lauren finally revealed herself to Dennis as his bride to be.